Don't Miss Out! Book Now! 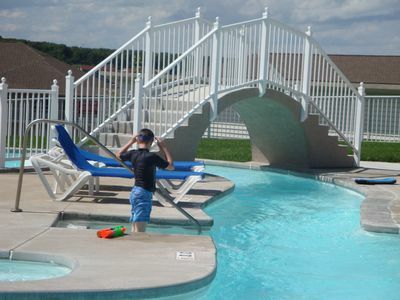 Perfect Townhome for Big Families! MM3! HDTV's! Pool! 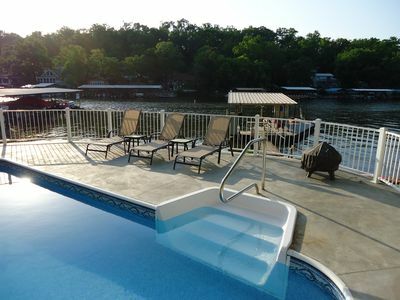 After a busy day out on the lake, come home to a 2,200 square foot townhome, in a quiet cove with plenty of room for the whole family to spread out and relax. There are no noisy neighbors below or above you to worry about. 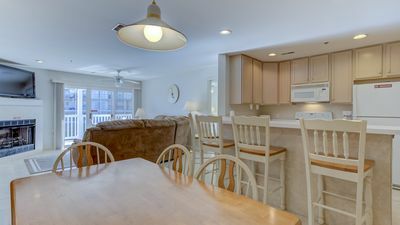 On the main level is a fully equipped kitchen with seating for 8; additional seating available on the screened-in deck with a ceiling fan. 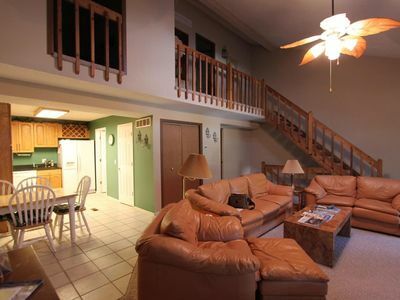 The great room has plenty of seating with a 48 inch HDTV, DVD player and stereo. The bedroom on the main level has a queen-sized bed, closet, dresser and HDTV with an attached full bath. 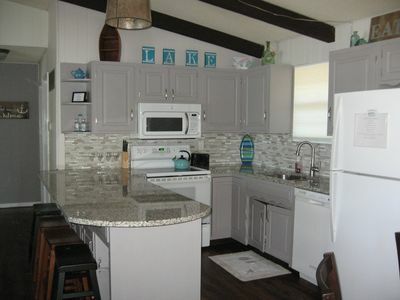 There is also an open deck with a gas grill for your grilling pleasure. 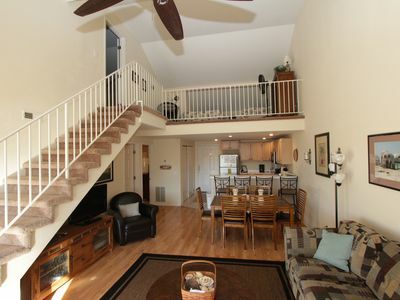 The second level has 2 bedrooms; one with a king-sized bed, one with 2 queen-sized beds. Both share a full bath. Plus, closets and dressers with plenty of storage along with HDTV's. 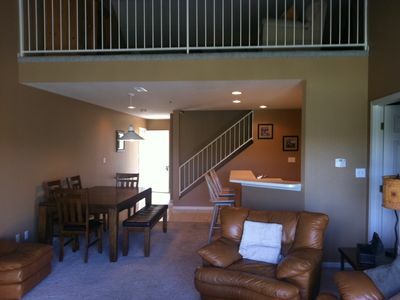 The lower level has another family living area with 47 inch HDTV, DVD player and stereo. 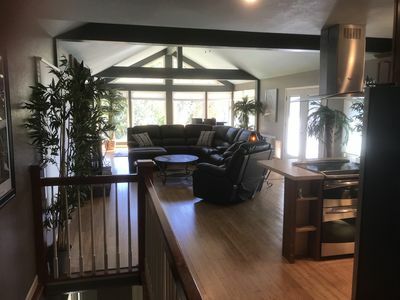 Again, plenty of seating with a sectional couch and reclining ends. Additional table and chairs for meals, cards or games. 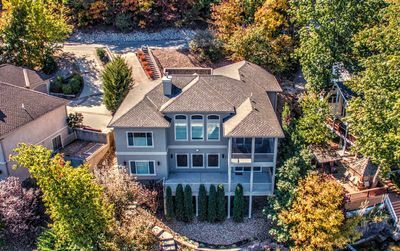 The master suite is located on this level with a king-sized bed, 2 closets, HDTV and adjoining full bath. Also, a screened-in deck with a ceiling fan. 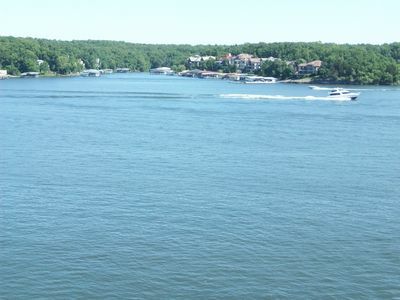 Our townhome has many conveniences that most places don't offer. The pool is just out your front door. 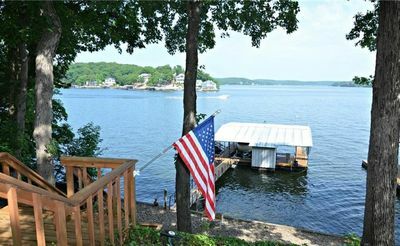 There are just a few steps down to your covered boat dock and 10 x 24 slip with locking closet, along with a boat launching ramp. 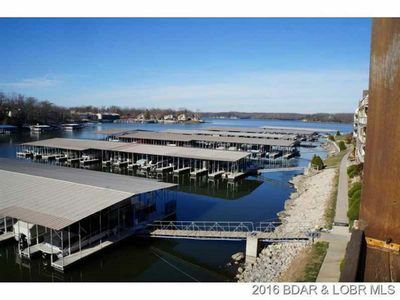 There is boat trailer parking onsite for no additional fee. 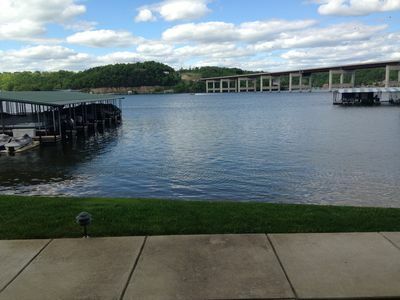 Close to marina, convenience store, boat and jet ski rentals and the least expensive fuel on the lake. All linens, towels, body wash and shampoo are provided. Just bring your beach towels, food, family and friends and you are ready for a fun-filled vacation! We also have Free WI-FI, so bring your laptop, Ipad, PlayStation or Xbox and stay connected. In 2016 we re-carpeted the lower level, installed a new dishwasher, washer and dryer unit, 50 gallon electric commercial grade hot water heater and a new larger air conditioner unit. **NOTE: THIS IS NOT A PARTY COMPLEX**. We have neighbors that live here year round. So, mature adults and families only please. 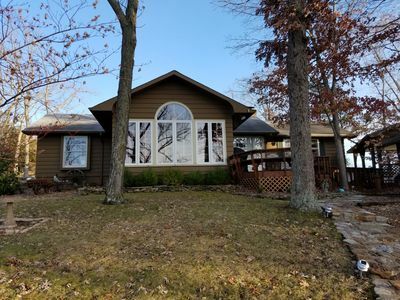 Lands End 3 Bedroom 2 Bath, Rate Lower Than Others! 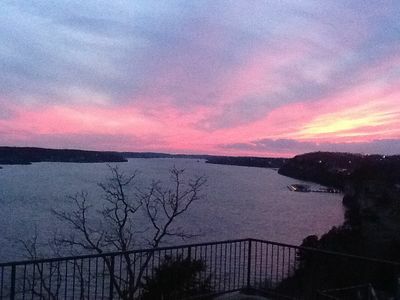 Sunset view! 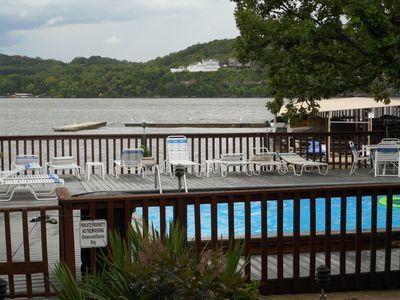 Poolside/Stunning Views on the 14 mile marker of Lake of the Ozarks. Perfect!! 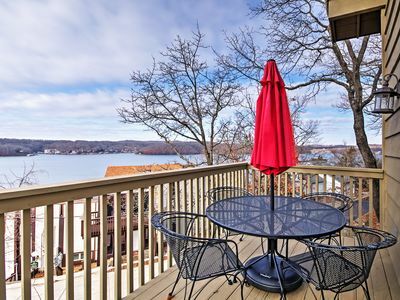 Palisades Point- Lakefront Escape! 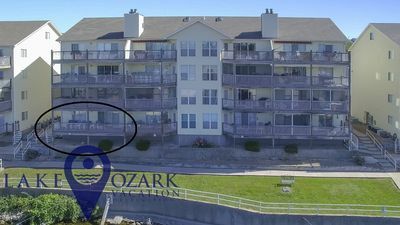 High-end Condo with Million Dollar View!! 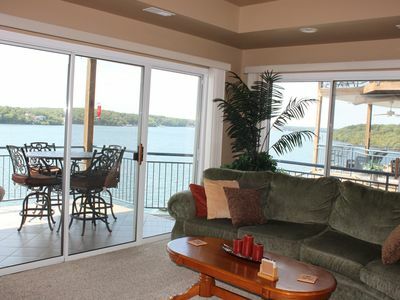 "The Largest Penthouse on the Pt* 6 Bed/4 Ba Sleeps 14* Great for Large Groups! Five houses in same cove. Sleeps up to 62 guests. 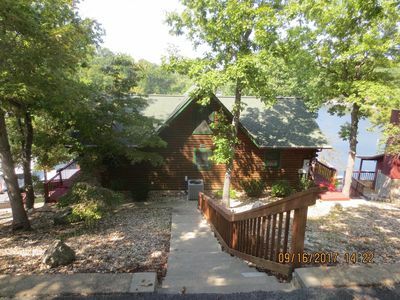 Osage Beach Lake House w/ Sunrise Views!